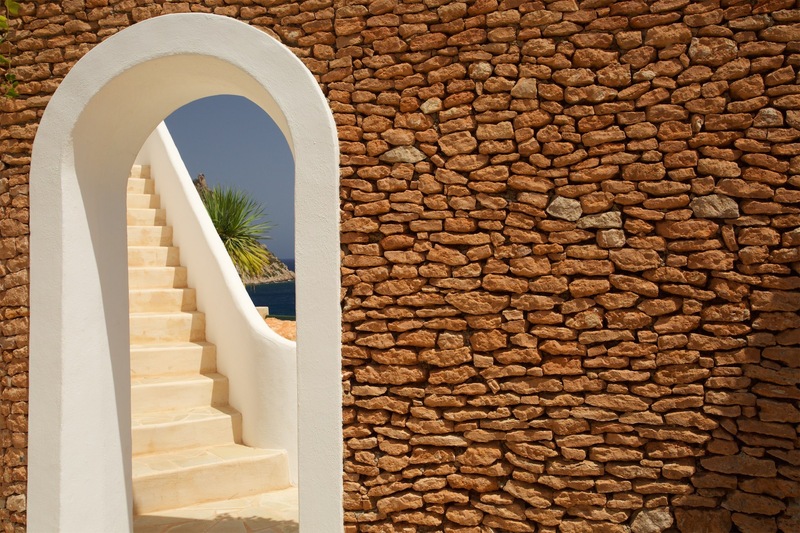 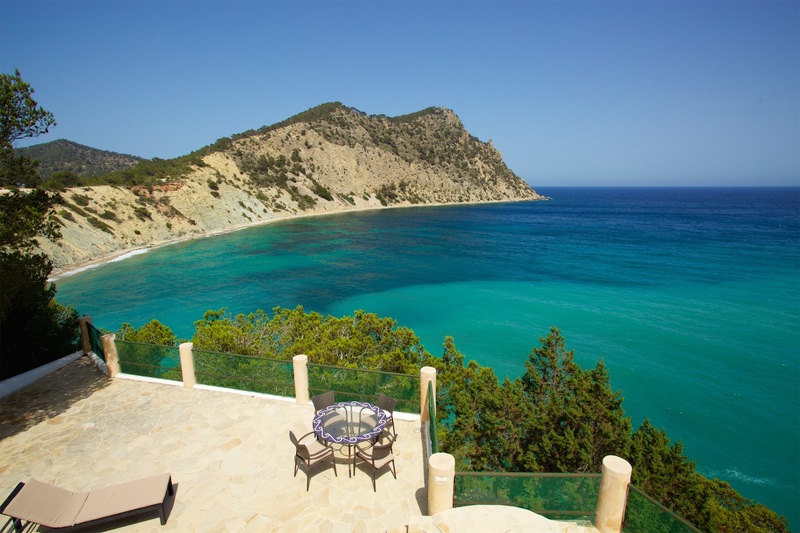 Villa Sol den Serra is a luxury Ibiza villa, quite simply a little piece of paradise. 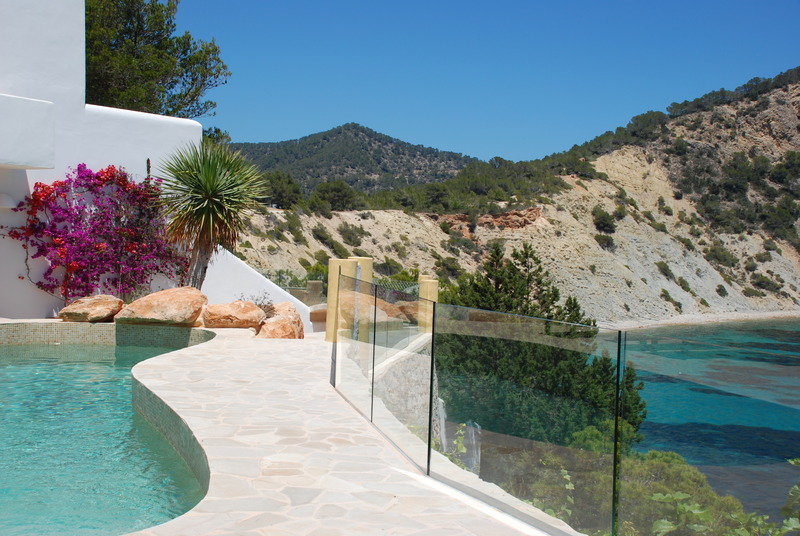 A majestic yet contemporary villa in Ibiza, set high above the sea. 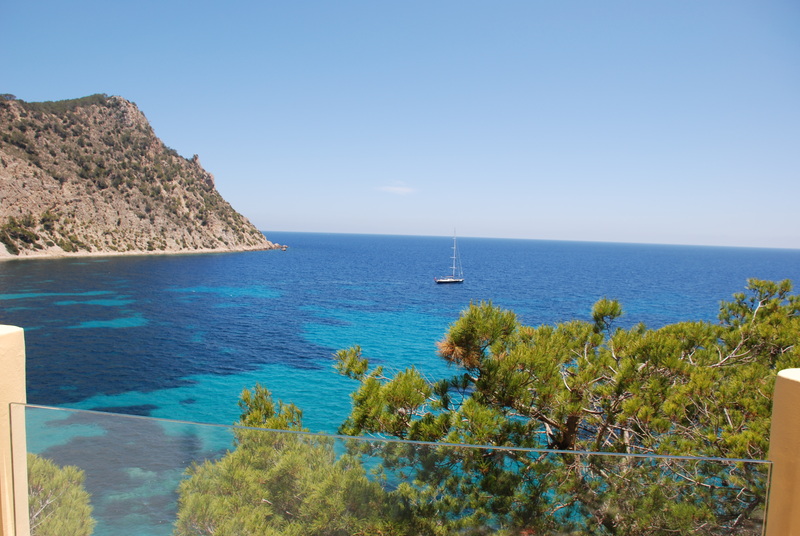 The views over the sparkling crystalline waters of the bay of Sol den Serra are unrivalled, they will take your breath away every time. The villa’s style is an artful blend of typical Ibiza architecture combined with modern day comforts. 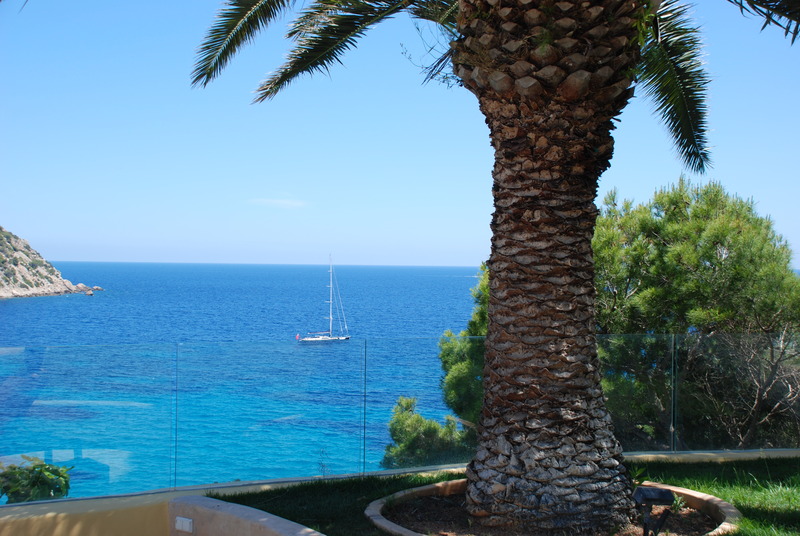 You will feel absolutely at home in this stunning location. 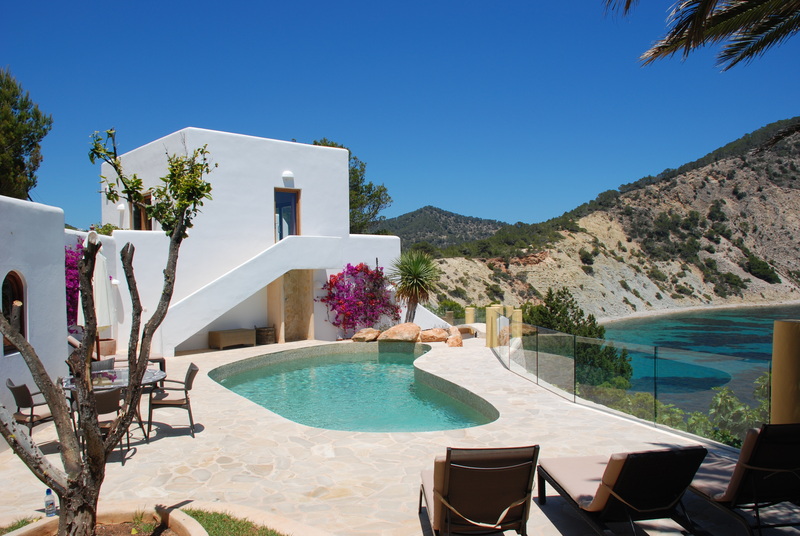 With three bedrooms in the main villa and also two separate guest apartments, this luxury Ibiza villa is ideal for families or larger groups wishing for a degree of privacy. 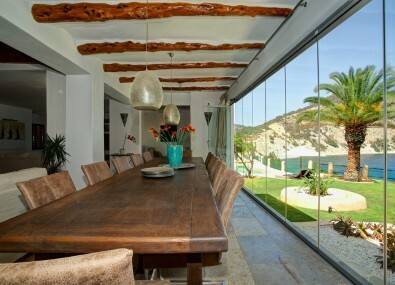 Furnished to a very high standard, the open plan living area’s central point is a large dining table which looks out across the sea. 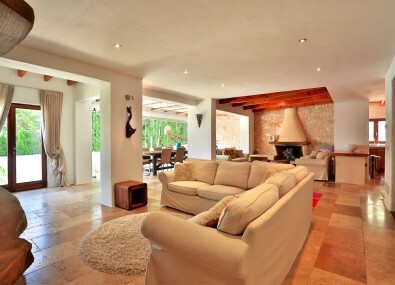 Floor to ceiling windows flood the villa’s living room with natural daylight. 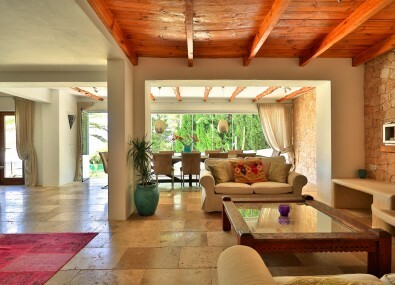 Bi-folding, the doors open up to give a feeling of outdoor living in the summer months. 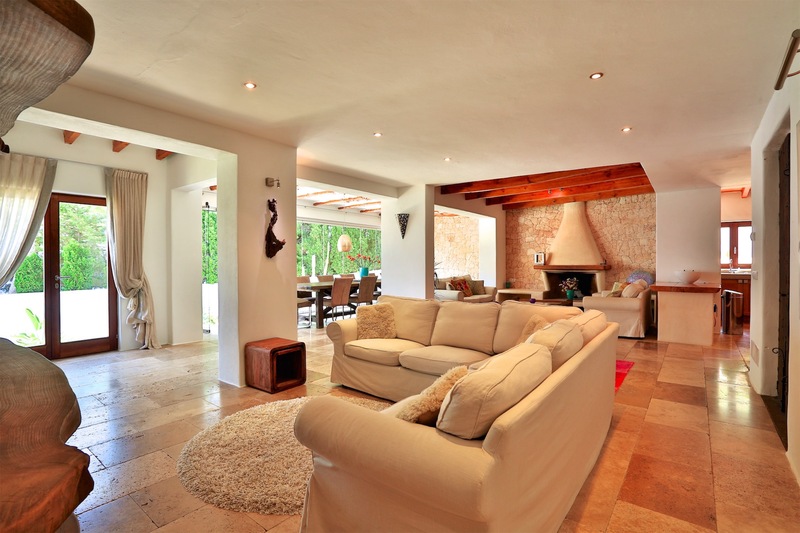 The villa’s living room has two separate lounging areas, one with an open fireplace and inviting sofas – a perfect spot to sit and relax after a busy day. 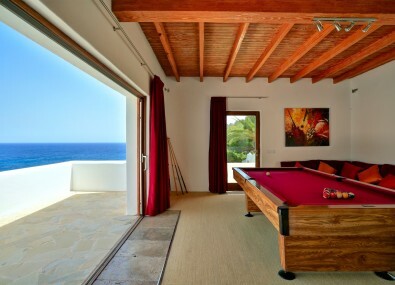 The other has a large flat screen TV with satellite TV, surrounded by a huge corner sofa. 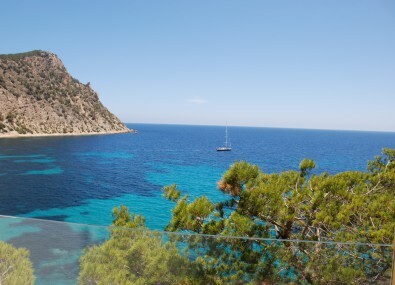 High speed WiFi to catch up with the ‘real world’. 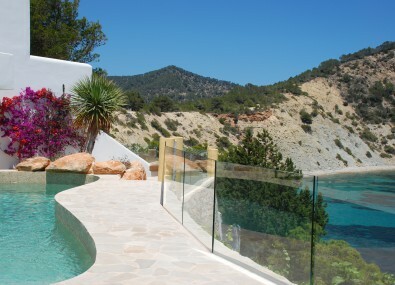 This luxury Ibiza villa’s stylish furnishings have been carefully chosen to afford a great level of comfort. 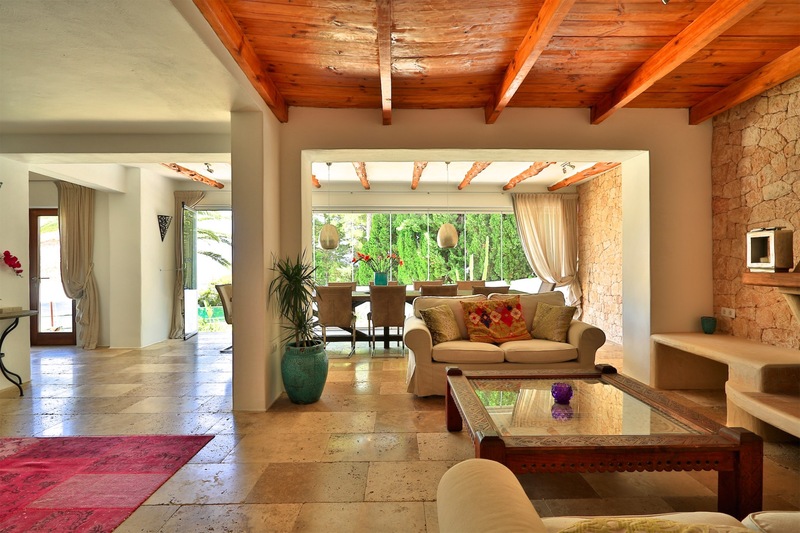 Luxurious fittings and tasteful artwork throughout, along with antique wooden doors adding to the overall ambiance. 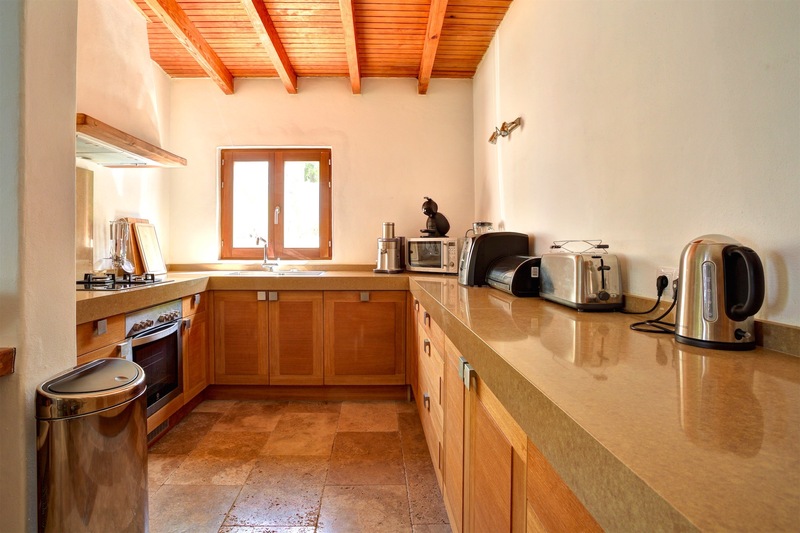 The villa’s kitchen is integrated into the open plan living area, creating great space to cook, entertain and prepare meals. 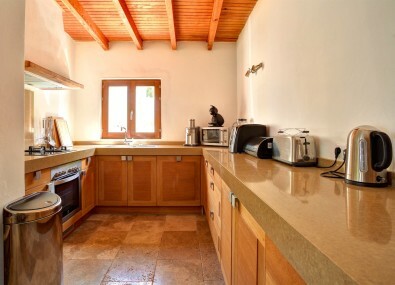 Fully equipped with all modern appliances, crockery, utensils and cutlery so any group can get creative. 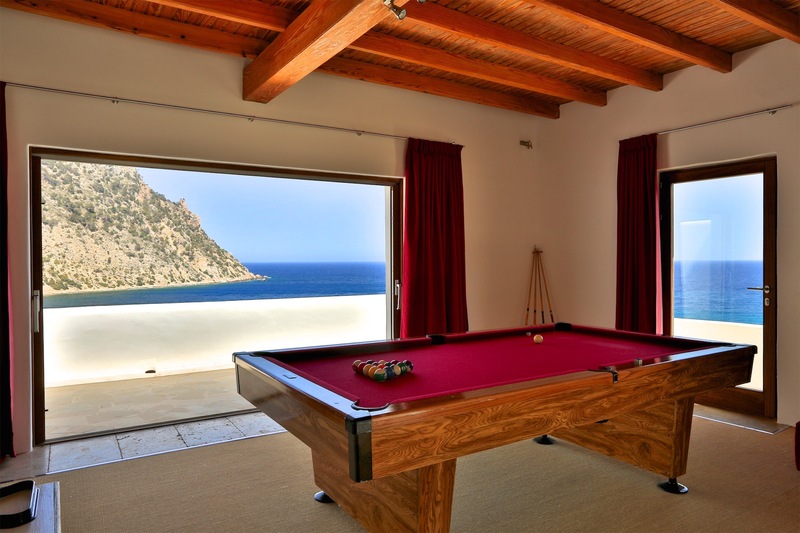 One of this luxury Ibiza villa’s most unique features is its games room. 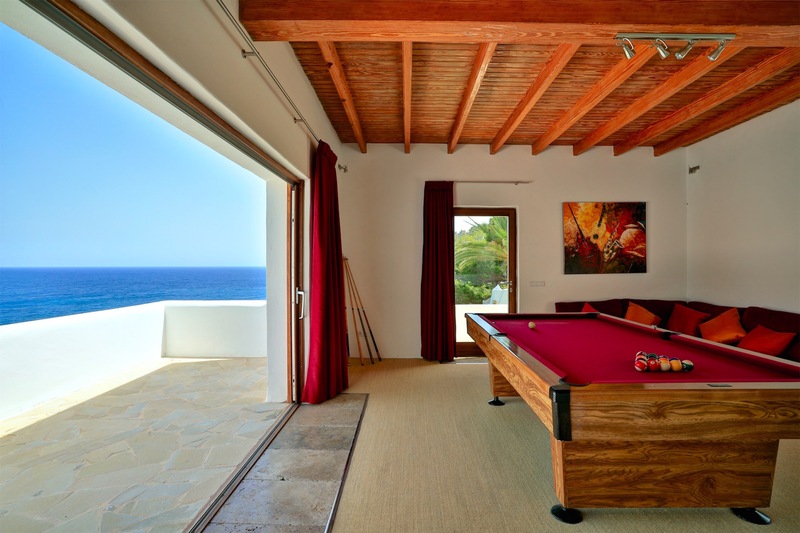 Set above the two guest apartments, it boasts a full size pool table and warm red corner sofa, a great spot for teenagers to hang out, or grown-ups too! 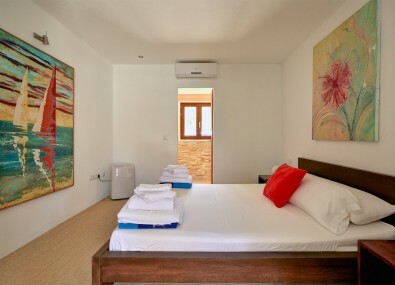 The room has a large flat screen TV with Sky and a state of the art sound system, along with its own bathroom. 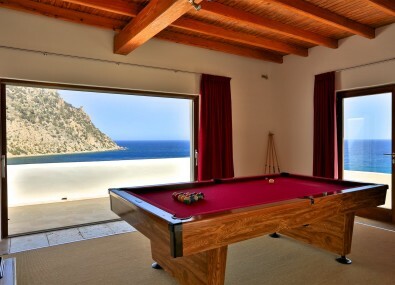 Surely the only pool table room in the world with such a breathtaking view! 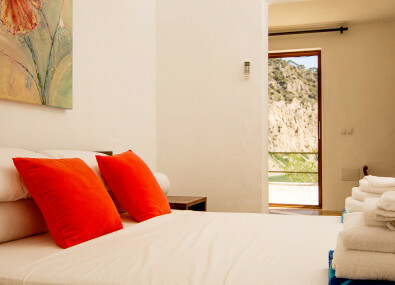 Master bedroom: Set away from the other bedrooms offering privacy. 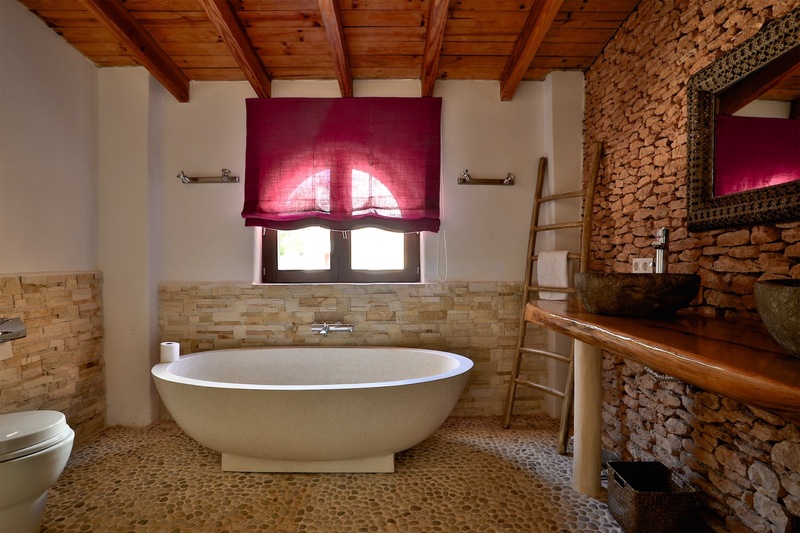 This idyllic room has a huge en-suite bathroom featuring a free-standing bath and walk-in shower. 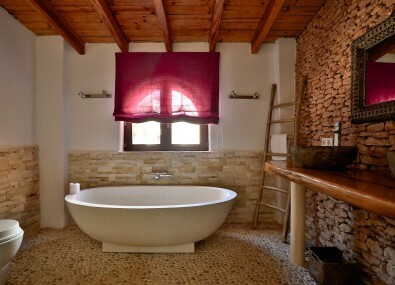 A beautiful feature are the restored stone walls and stone double washbasins. 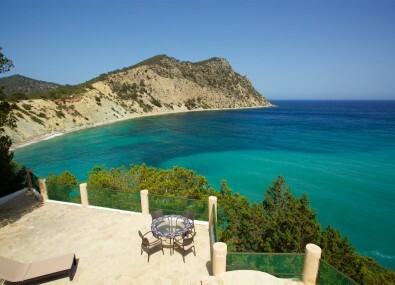 Also benefiting from a walk in wardrobe and breathtaking sea views. 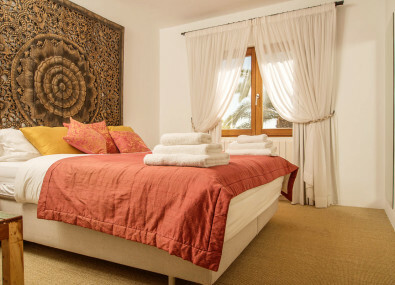 Bedroom 1: With a king-size bed and attractive carved wooden wall hanging. 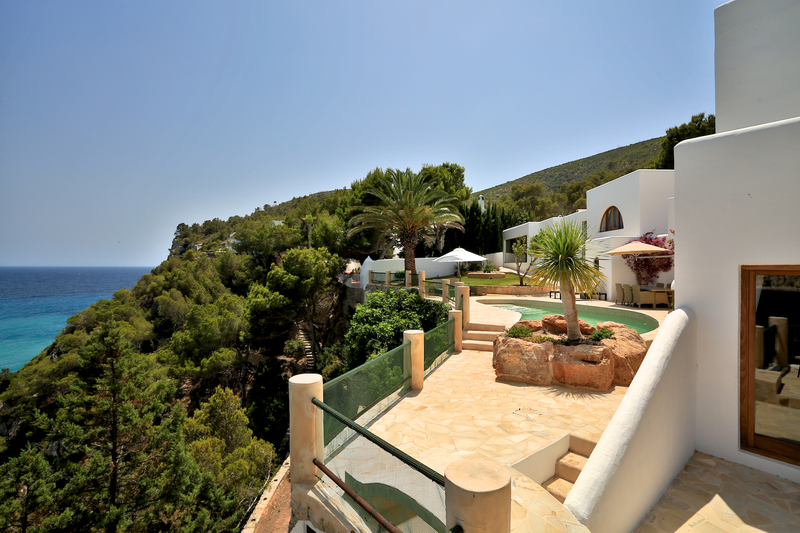 Beautifully decorated with a superb sea view. 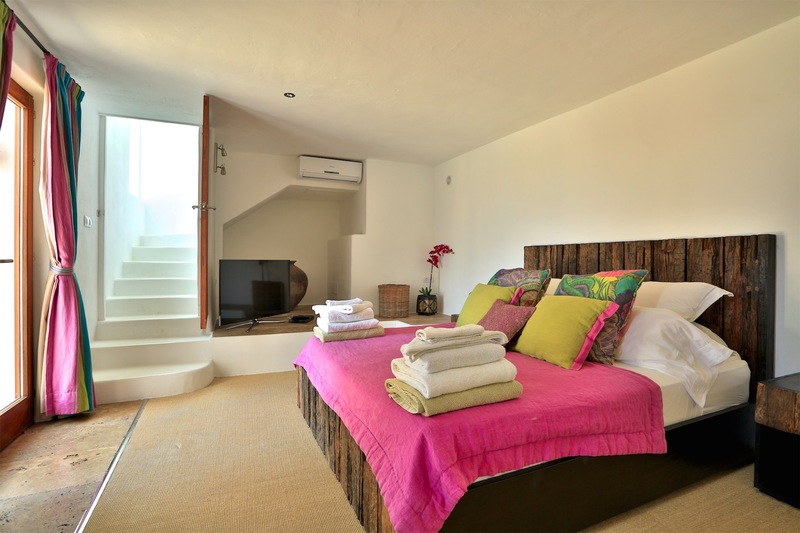 Bedroom 2: With a pretty canopied four-poster bed and views across the sea, along with ample storage in the built in wardrobes. 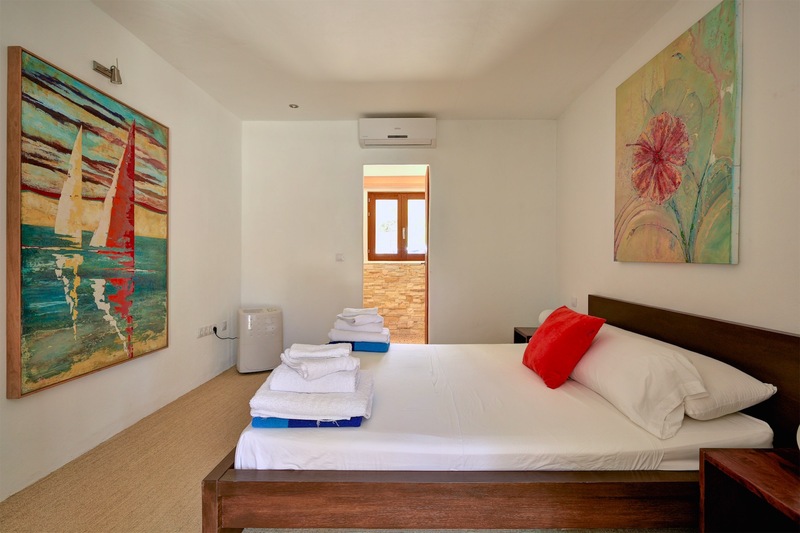 This room is warm and welcoming and has its own WC room, plus a shared bathroom with Bedroom 1. 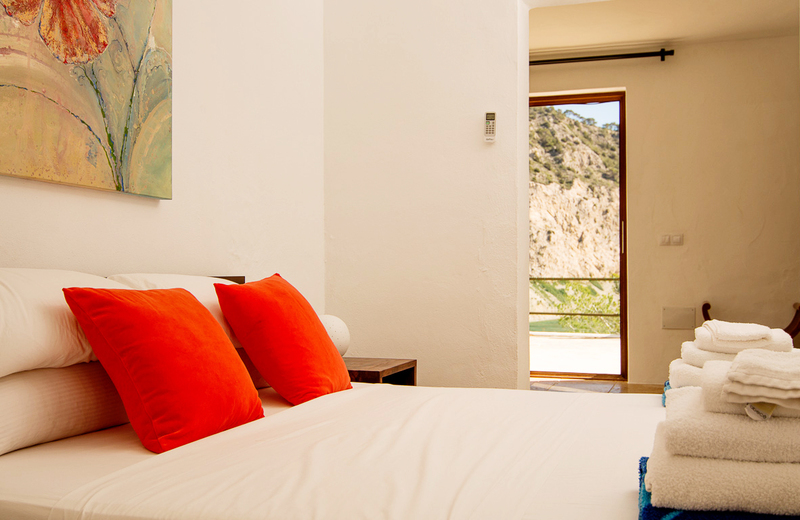 Guest apartments: Away from the main villa also with their own private sun terrace. 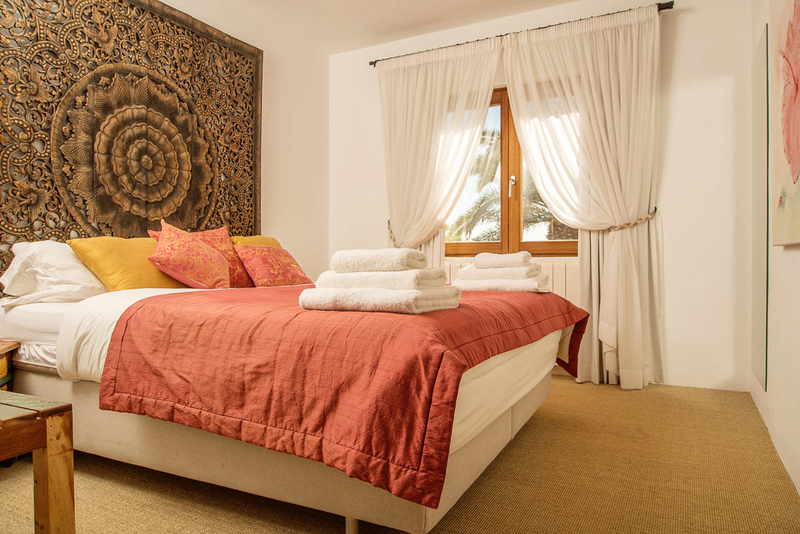 The villa’s two guest apartments are therefore ideal for those seeking a little privacy. 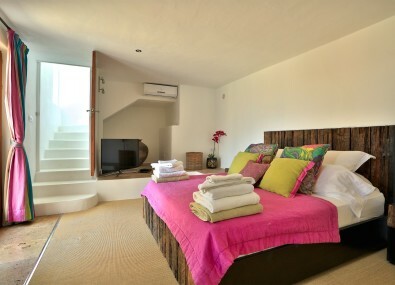 Both have double beds, storage space and their own en-suite bathrooms. 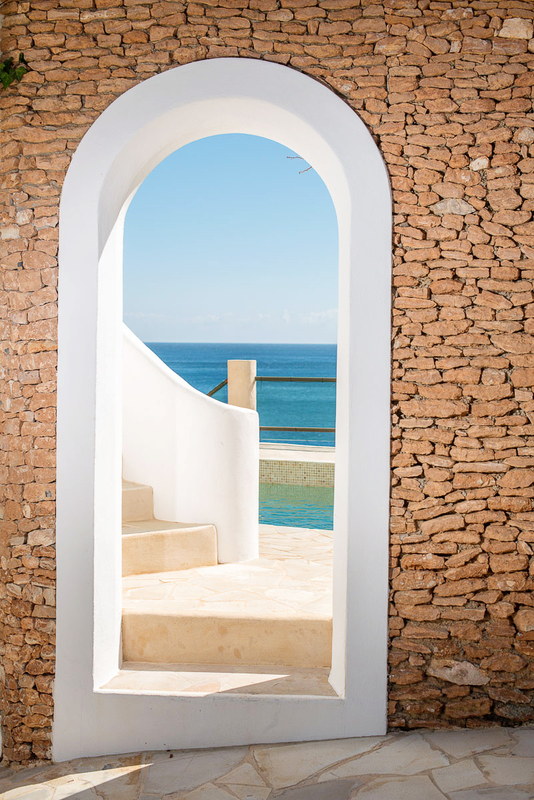 Opening the doors onto your private terrace and taking in the spectacular view is something you will never tire of doing! 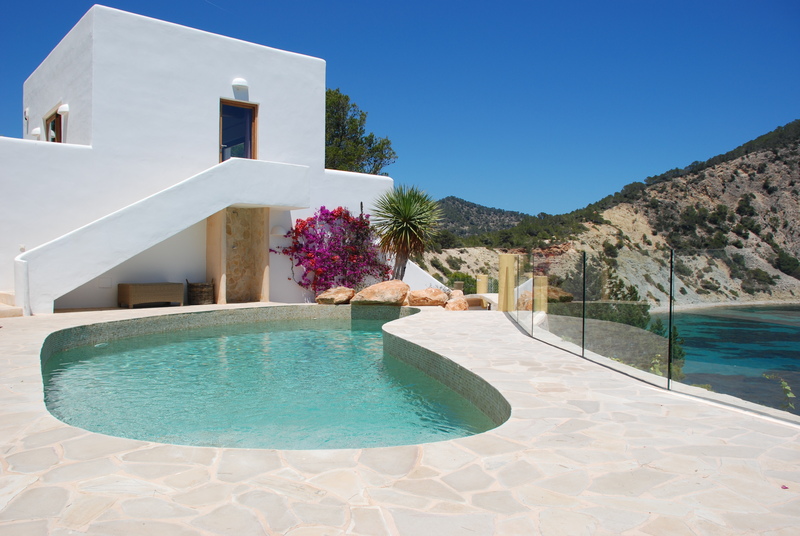 This luxury Ibiza villa has a large kidney shaped swimming pool surrounded with comfortable sun loungers and also shaded areas for hot summer days. 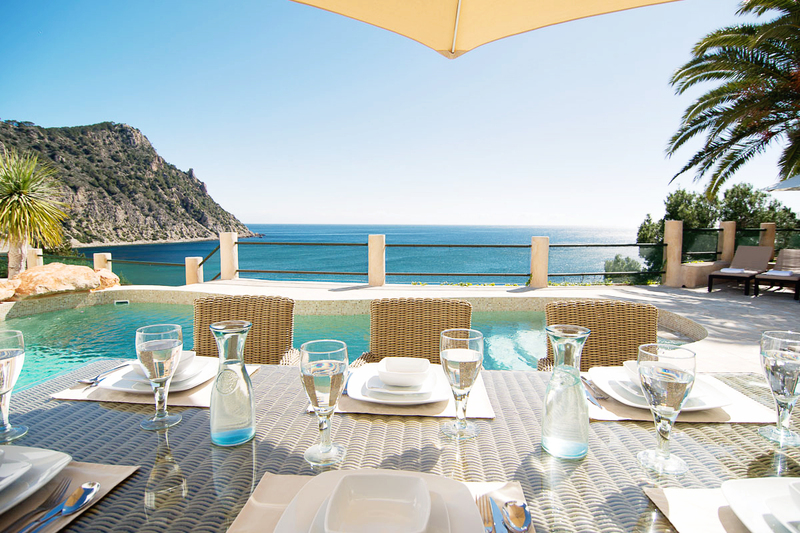 A circular stone outdoor dining table with built in BBQ offers the perfect spot for a summer soiree. 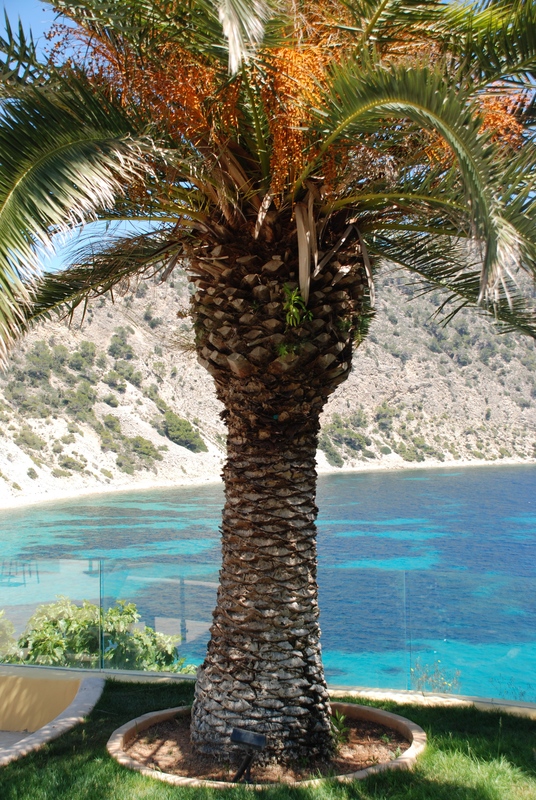 Carefully tended and maintained, the gardens are full of lemon and orange trees, together with fragrant plants. 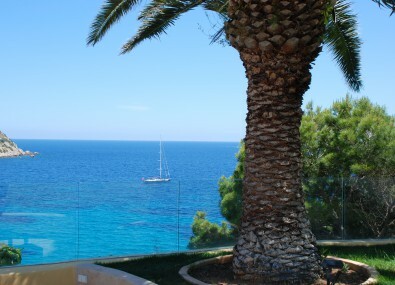 Again – we have to mention the view! 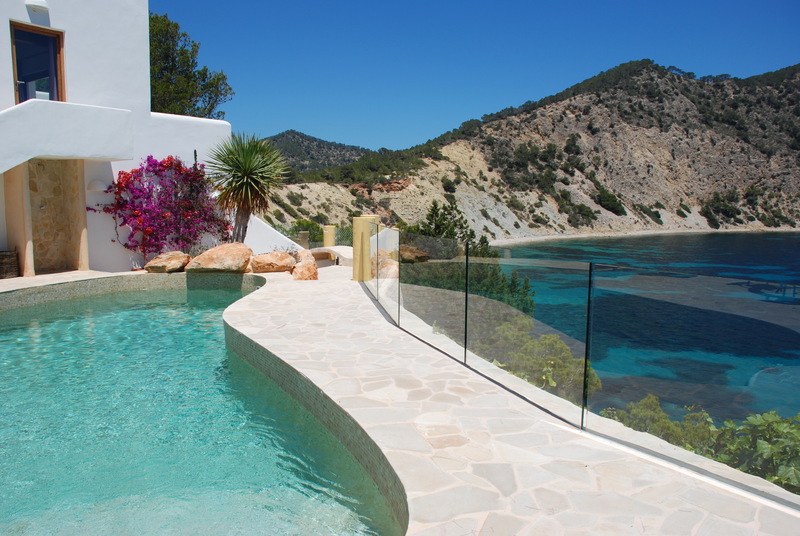 The flat sparkling waters of the bay certainly make this one of our most special villas in Ibiza. 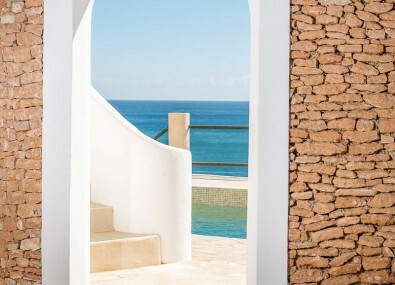 The sunrise is a sight which will stay with you forever. 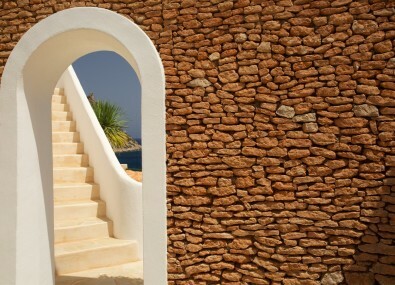 Steps lead down to the sea from the swimming pool area should you fancy an early morning swim, although it is a steep walk so not recommended for young children. 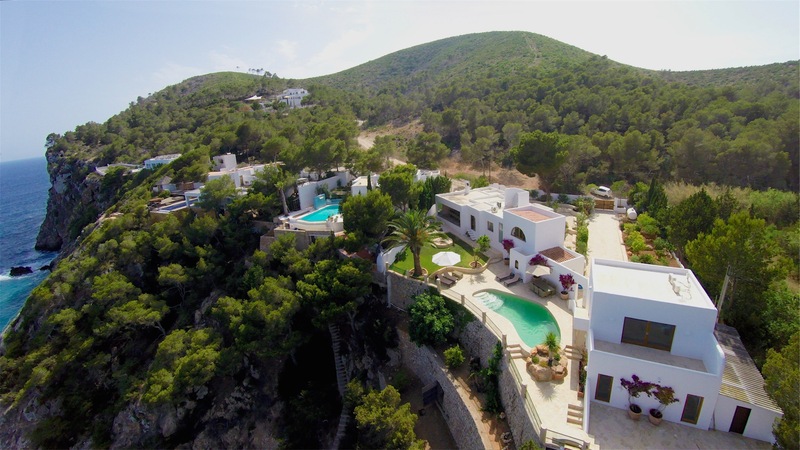 There is a real sense of tranquillity and solitude at Villa Sol den Serra. 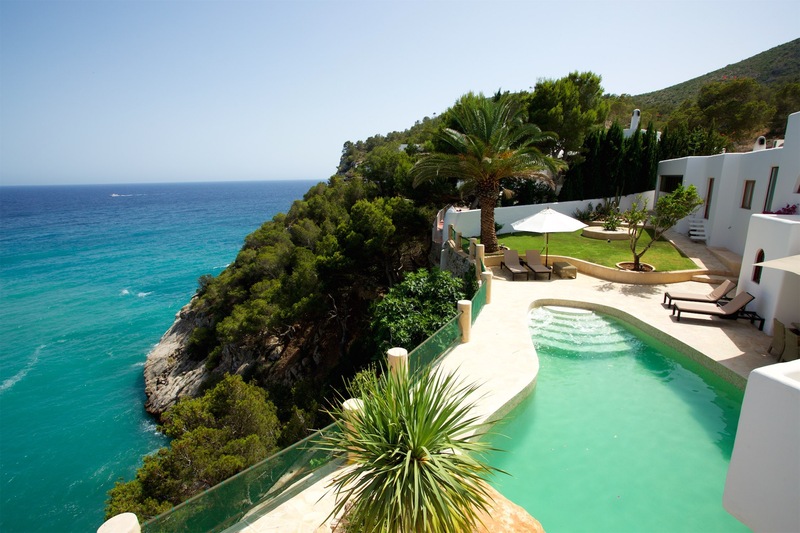 You will feel as though you are on top of the world. 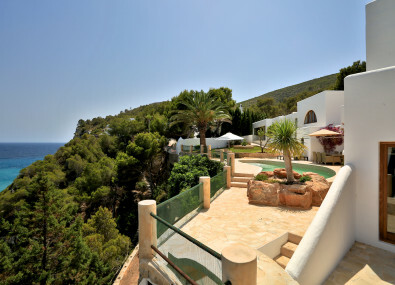 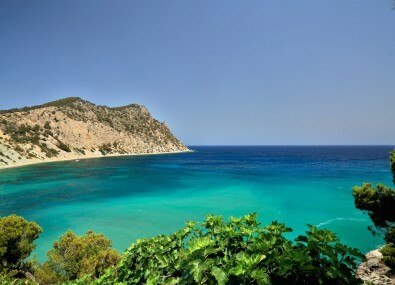 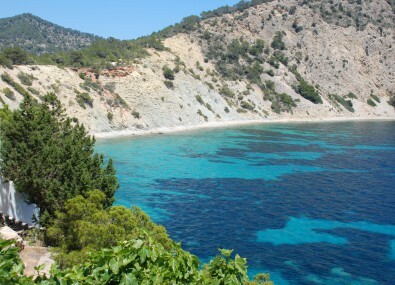 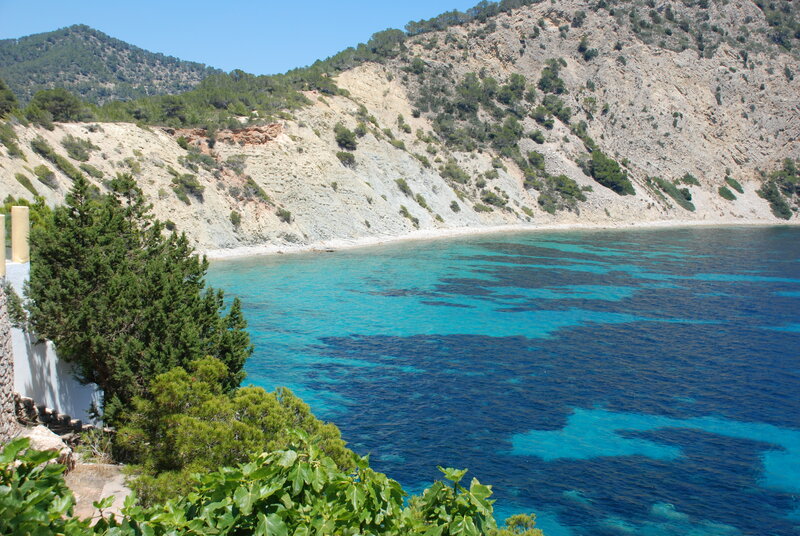 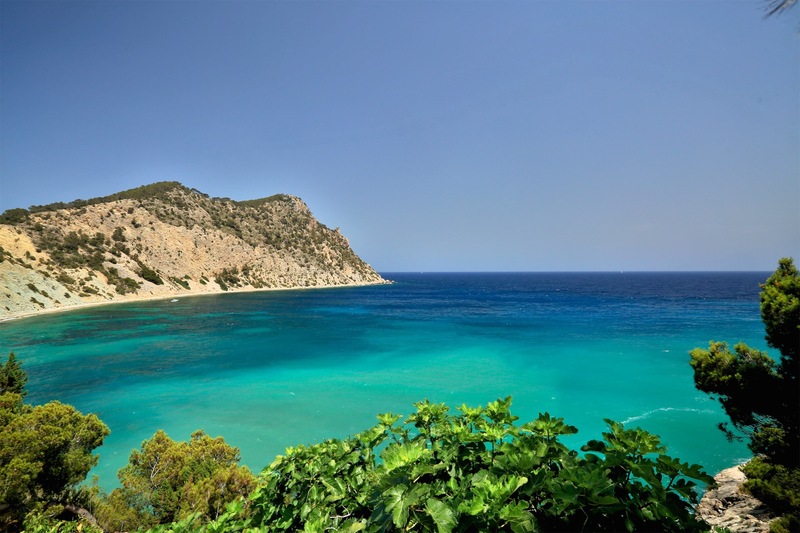 Yet in fact, you a short distance from the resort of Santa Eulalia and Cala Llonga with all their amenities. 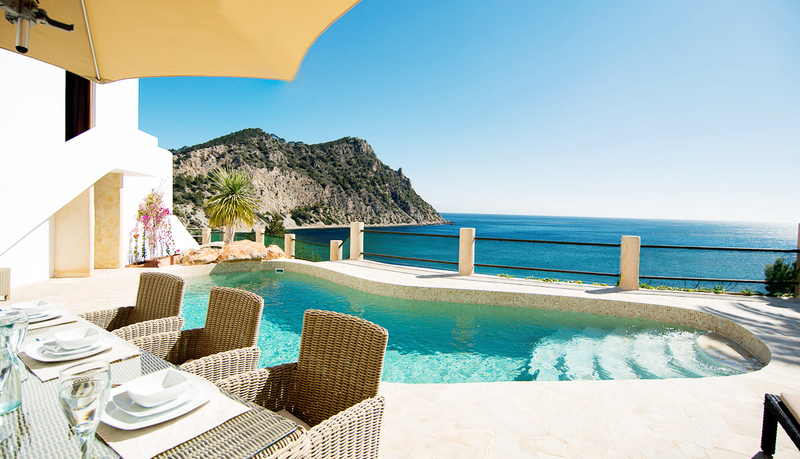 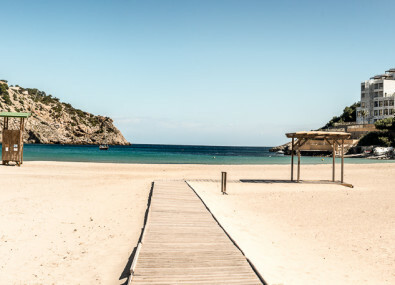 Another benefit of this luxury Ibiza villa is the close proximity to the exclusive Amante Beach Club. 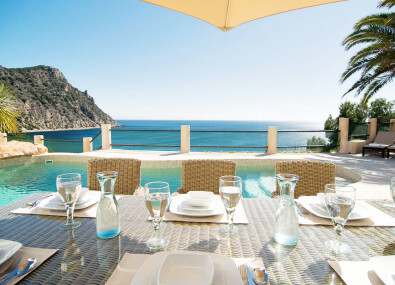 Amante is one of the most celebrated restaurants on the island, which is just a few minutes’ walk away.